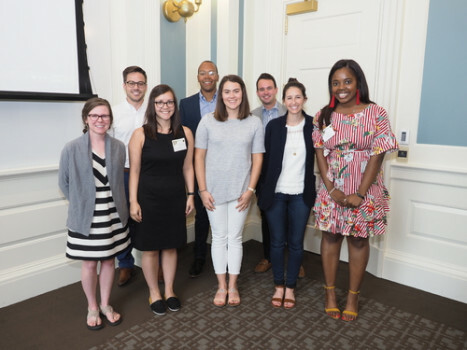 The GOLD Alumni Board is a group of alumni volunteers that represent young alumni and lead the volunteer efforts of the Graduates of the Last Decade program. The GOLD Alumni Board aims to enhance the DePauw community through the promotion of alumni engagement and annual giving participation among graduates of the last decade. GOLD Alumni Board members act as regional alumni leaders and coordinate GOLD alumni events and volunteer efforts. These efforts primarily involve Annual Giving, Career Services, the Senior Gift Drive, Admissions, and the 5th and 10th Reunion Celebrations. 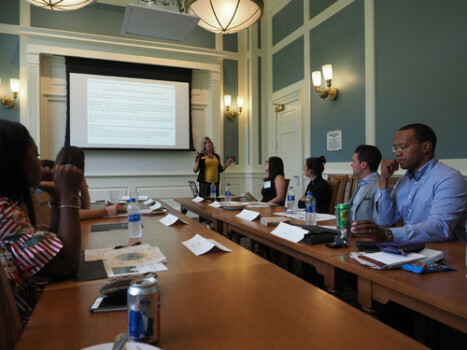 The GOLD Alumni Board serves as a vehicle for all young alumni to communicate their ideas, questions, and concerns to the Alumni Association Board of Directors and the University. Members convene on campus for semi-annual meetings during Old Gold Weekend in the fall and Alumni Reunion Weekend in the summer. If you are interested in joining the GOLD Alumni Board, or know someone who you would like to nominate to join, please contact Wendy Wippich at wendywippich@depauw.edu.